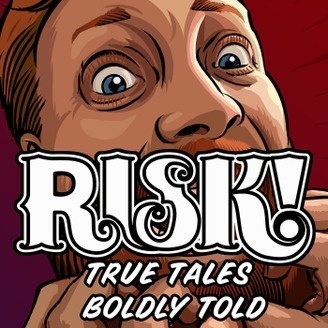 I’ll be performing this Wednesday with RISK!, the wonderful storytelling show/podcast hosted by Kevin Allison (The State). Come hear me talk about the time I had to moon an audience of over 2,000 people…. including my 81 year old grandmother. Notes: Hallie tells stories alongside Kevin Allison, Adam Wade, and more!